1,341 Likes, 37 Comments - Mrs Pochettino (@mrspochettino) on Instagram: "🦁🐯🐆🐅🐯🦁 #Mauricio #Poch #Lion #Cheetah #Tiger #SkyInterview #GeoffShreeves #SpursOfficial #SpursVUtd..."
SPURS host Leicester at Wembley today, knowing that another defeat would eliminate them from the title race. Here's how to watch the action live online. Tottenham will seek to maintain their quiet challenge for the Premier League when they host Leicester at Wembley on Sunday. Mauricio Pochettino’s side can once again draw to within five points of leaders Liverpool if they overcome the Foxes, having won each of their last three Premier League matches. But they will come up against an outfit that has specialised in upsetting the top teams this season, with Claude Puel having masterminded victories over Chelsea and Manchester City, not to mention a creditable draw at Anfield. Tottenham welcomed back Harry Kane and Dele Alli to training this week, but it will still be several weeks before either of the duo are fit enough to play. Ben Davies and Eric Dier are missing, the latter due to illness. Confirmed Tottenham starting XI: Lloris, Trippier, Sanchez, Vertonghen, Rose, Winks, Sissoko, Skipp, Eriksen, Son, Llorente. Bench: Gazzaniga, Alderweireld, Foyth, Aurier, Walker-Peters, Wanyama, Lucas. Marc Albrighton has failed to overcome a hamstring problem and needs surgery, with Claude Puel suggesting he could miss quite a period, while Daniel Amartey remains a long-term headache. Youri Tielemans makes his debut, having signed from Monaco during the January transfer window, while star striker Jamie Vardy has dropped to the bench. Confirmed Leicester starting XI: Schmeichel, Ricardo, Evans, Maguire, Chilwell, Mendy, Tielemans, Maddison, Gray, Barnes, Ghezzal. Bench: Ward, Morgan, Simpson, Choudhury, Ndidi, Okazaki, Vardy. Tottenham are warm 4/6 favourites to win at Bet365. Leicester are 19/4 to cause an upset, while the draw is 3/1. While all eyes seem to be cast towards Liverpool and Manchester City in the Premier League title race, Tottenham are quietly confident that they can mount a challenge for the crown. They have won 19 of their 25 league matches this season and after being eliminated from both domestic cups over the space of three days at the end of January, have bounced back with narrow wins over Watford and Newcastle. A third home fixture in succession provides the opportunity to keep the pace with the leading sides, and though missing star men Harry Kane and Dele Alli, the squad remains upbeat over their chances. “If people want to talk about Liverpool and Man City then it’s better for us. We can follow our way in,” Moussa Sissoko told The Telegraph. Spurs’ task is complicated by an impending Champions League meeting with Borussia Dortmund on Wednesday, but for now their minds must be fully set towards Leicester, who have proven themselves more than capable of mixing with the best, despite an average league position. The Foxes are winless in four but Claude Puel believes his side were unfortunate to lose 1-0 to Manchester United last time out and has urged his players to show more confidence. “We want to perform and we want to take points. I think, for example, against Liverpool, okay it was a draw, but perhaps we had chances to win the game,” he said. “I hope we can perform, we can show our progress in our games to manage our game with the right way. 26k Likes, 141 Comments - Mikaela Shiffrin ⛷💨 (@mikaelashiffrin) on Instagram: "As a proud Team @visa_us member, I have an exciting announcement to make about the Visa and..."
ARE, Sweden — Mikaela Shiffrin has taken issue with comments by Lindsey Vonn and Bode Miller questioning her decision to sit out several events at the world championships. "She could have won everything," Vonn said Friday. "I'm a racer and I want to race in every single race that I possibly can. I respect her decision. It's obviously her decision. But she has the potential and 100 percent the capability of getting a medal in all five disciplines. So I don't personally understand it. 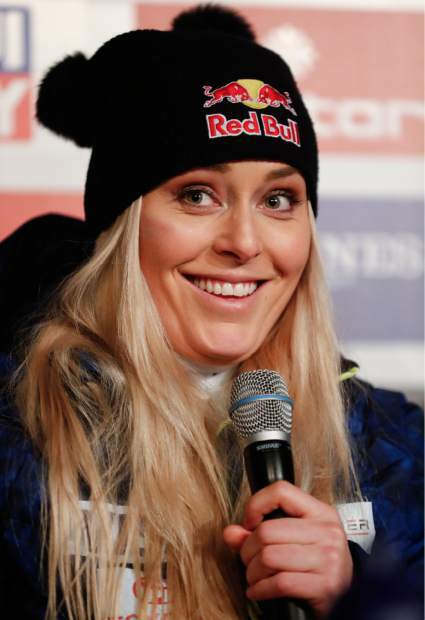 … Hopefully, I'm sure, she will get two golds in GS and slalom." "Her group around her they make decisions that they feel are best. … It's not for me to criticize those but I would have her racing for sure," Miller, at the worlds as a TV analyst, told The Associated Press on Friday. "But it's different strokes different folks." The 34-year-old Vonn will retire after today's downhill at worlds, having had to cut short her last season due to persistent pain in her knees after a series of devastating crashes in her career. "My goal has never been to break records for most WC wins, points or most medals at World Champs," Shiffrin said. "My goal is to be a true contender every time I step into the start, and to have the kind of longevity in my career that will allow me to look back when all is said and done and say that — for a vast majority of the duration of my career — I was able to compete and fight for that top step rather than being sidelined by getting burnt out or injured from pushing beyond my capacity." It’s a little strange for Vail’s Lindsey Vonn and Bode Miller to be calling out Mikaela Shiffrin for skipping some events at the 2019 World Alpine Ski Championships going on in Are, Sweden, right now, and it reminds me of Phil Mahre’s criticism of Miller back in the 2000s. 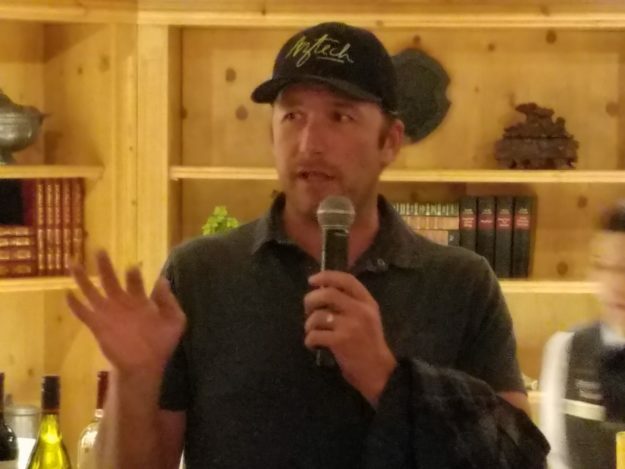 Bode Miller in Vail in 2017 (David O. Williams photo). Miller (33 World Cup wins), Mahre (27), Vonn (82) and Shiffrin (56) are the runaway Mount Rushmore of American ski racing. Miller and Mahre rank 1-2 among American men for career wins, and 9th and 11th on the all-time men’s list. Vonn and Shiffrin are 1-2 among American women and 1-3 on the all-time women’s list. But on Friday, Vonn, who races in her final event Sunday in the downhill, retiring at the age of 34 with chronically painful knees, questioned why Shiffrin would skip the downhill and alpine combined to focus on next week’s slalom and giant slalom. Miller, retired as a racer and now a TV commentator, also wondered why Shiffrin wasn’t racing in every event. “She could have won everything,” Vonn said of Shiffrin on Friday. Shiffrin responded Saturday on social media. According to the Associated Press, Shiffrin, who won the super-G gold on Tuesday, was sitting out the combined (one run downhill, one run slalom) and the straight-up downhill (an event she’s only won once on the World Cup circuit) to stay fresh for her signature slalom and GS events. The EagleVail racer was worried about a repeat of last year’s Pyeongchang Winter Olympics when she says she tried to do too much and wound up fourth in the slalom. Seems to me Shiffrin knows exactly what she’s doing. At the age of 23, she’s won 56 times on the World Cup circuit, is about to win her third overall title and has collected a total of eight world championship and Olympic medals in four different disciplines – an astounding six of them gold. That’s more gold than both Miller (five) and Vonn (three), and she’s clearly not done. Shiffrin’s third overall title will tie Mahre’s three in a row in the early 80s, surpass Miller’s two season-long titles and leave her just one shy of tying Vonn’s overall American record of four. All at the age of 23. Vonn is retiring at 34, and Miller raced until he was almost 40. Miller holds the American record with 11 total world championship and Olympic medals (five gold), but Shiffrin is just three short of that mark, and Vonn is first among American women with 10 total medals (three of them gold), so Shiffrin could tie that mark in Are next week. And, as previously stated, she already has more gold in her trophy case than Vonn and Miller. Shiffrin also has twice as many Olympic gold medals as Miller and Vonn, who both won one each, in half the number of Olympic Games — arguably the only thing casual American ski-racing fans care about. Which brings us back to why Vonn and Miller are questioning anything Shiffrin does at this point – except that Miller is actually paid for his commentary on TV, so there’s that. And he has a long history of speaking his mind on a wide variety of topics, from drinking and skiing to doping and skiing to climate change and skiing and nothing has changed now that he’s on TV. And while Vonn has always been forthcoming with reporters — especially recently (see last year’s justified Trump-bashing before the Pyeongchang Olympics) — this seems like a needless jab at Shiffrin because of the two Vail Valley racers’ extremely divergent styles. Shiffrin is very focused on all of the technical and strategic aspects of her sport. Vonn is a transcendent superstar who understands that most Americans don’t give a damn about ski racing and the only way to stand out is to star on TV programs, attend award shows, date celebrities and do lots of photo shoots. Shiffrin doesn’t want any of that, purposefully and publicly taking a pass on bikini spreads and refusing to be “objectified,” which in itself is a powerful statement. Barring injury, Shiffrin will own almost every record in the end, which is something Vonn acknowledged in abandoning her pursuit of the overall men’s record of 86 World Cup wins owned by Sweden’s Ingemar Stenmark. But there’s one record – and it’s a biggie – that Shiffrin will never break, and that’s Vonn’s mark of 43 downhill victories. 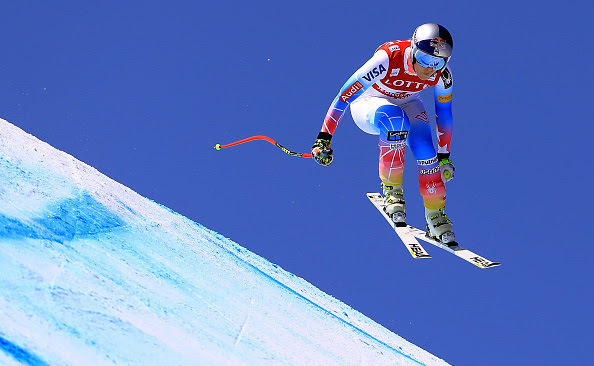 Downhill is the glory event of ski racing, with speeds in excess of 70 mph, massive amounts of air off jumps and an almost incalculable degree of risk. Both Vonn and Miller started as tech-event (GS, slalom) standouts and then morphed into speedsters who excelled in downhill and super-G, so it’s possible Shiffrin could one day challenge their marks in speed. But doubtful. And both Miller and Vonn paid the price for going big or going home – often doing so on sleds after spectacular crashes. 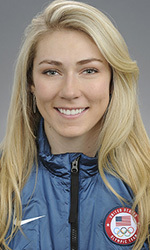 Miller, for the most part, avoided the truly gruesome crashes that cost Vonn at least a couple shots at Olympic glory. But early in his career, Miller wanted to win on the edge or not win at all, and that attitude was what grated on Mahre. Pretty much a pure tech guy like Stenmark – with all of his wins in either slalom, GS or combined – Mahre knew you could win overall titles by just finishing in the top five, so he took Miller to task in a 2004 interview with me that I re-posted on RealVail.com in 2008. For her part, Shiffrin says records dehumanize the sport, which is an interesting take from an athlete who is using every tool in the chest to systematically dismantle the record book. Miller and Vonn, meanwhile, lead lives so soaked in drama – much like the late, great Bill Johnson – that they inject over-the-top humanity into an otherwise somewhat cold, inaccessible sport. However Vonn’s career ends on Sunday – improbably back on the podium one last time, well back of the leaders, or in the nets yet again – the sport will miss her desperately. She will forever be the downhill GOAT – not just in America, but around the world – and ski racing without Vonn will be a far more boring sport. Much like golf without Tiger Woods. 🎤MUSIC VIDEO MONDAY🎤 : "What's Up?" by 4 Non Blondes (1992) : Alternate Clip : #whatsup #4nonblondes #isaidhey #whatsgoingon #lindaperry #alternativerock #90s #90smusic #90smusicvideo #musicvideo #musicvideomonday #1992 #4nonblondes90smovieclips #musicvideomonday90smovieclips 👈🏼 this links to the rest of the music videos posted so far. 3,824 Likes, 168 Comments - 90s Movie Clips + More 🎬🍿 (@90smovieclips) on Instagram: "🎤MUSIC VIDEO MONDAY🎤 : "What's Up?" by 4 Non Blondes (1992) : Alternate Clip : #whatsup..."
NEW YORK – Linda Perry didn't originally set out to be a music producer, but the singer who was focused on writing lyrics would hear noises in her head. She couldn't describe it, but she knew what she wanted a song to sound like, and maybe more importantly, what she didn't want the song to sound like. That didn't sit well with her. So the ambitious musician took matters into her own hands – heading to the studio to rework a little song called “What's Up?” to her liking. That's when Linda Perry, the producer, was born. “I was like, 'No one's ever going to tell me to go be a singer ever again.' I'm never going to allow that to ever happen,” she said. Fast forward nearly 30 years, and Perry is one of the most respected creators in the music industry. “What's Up?,” the 4 Non Blondes' international hit now considered a classic, is regularly covered at concerts today; Perry has produced music for acts such as Alicia Keys, Adele, Gwen Stefani, James Blunt, Courtney Love and more; and she's launched multiple record labels and even had a TV show focused on discovering musicians. And the magic she created with Christina Aguilera and Pink in the early 2000s came at pivotal moments in their young careers as the bubble gum pop stars tried to expand from the sound of their debut albums. They were extremely successful, thanks in part to Perry. Perry, 53, hit a new height this year when she earned her first nomination for non-classical producer of the year at the Grammy Awards – becoming just the ninth female to earn a nomination in the category in the organization's 61-year history, and the first woman nominated for the prize in 15 years. The last woman up for the award was Lauren Christy when the production trio The Matrix, behind hits for Avril Lavinge, was nominated at the 2004 Grammys. The last time solo females were nominated was 20 years ago when both Lauryn Hill and Sheryl Crow were producer of the year contenders at the 1999 Grammy Awards. Perry's competition includes two-time producer of the year winner Pharrell Williams; Kanye West, who produced five albums last year including two of his own; Larry Klein, who also produced five albums last year from the jazz, pop and folk genres; and Boi-1da, who co-produced Drake's “God's Plan” and worked on songs for Eminem and Kendrick Lamar. If Perry wins, she would be the first woman to do so. But the Songwriter Hall of Famer isn't concerned with making history or rectifying what happened in the past – she wants to focus on what's happening right now, and the future. 153 Likes, 0 Comments - RIP JD (@jg2488fan) on Instagram: "Rick Hendricks talking about the first time he came across Jeff Gordon. Gordon would go on to win..."
DAYTONA BEACH, Fla. — Rick Hendrick worked too hard building NASCAR’s top organization to tolerate mediocrity. If his teams had simply been average last season, he might not rate it as one of the worst in team history. Johnson was surrounded by inexperienced newcomers at the same time Chevrolet made a body change to its Cup entrant and switched to the Camaro. Although Bowman won the Daytona 500 pole in the Camaro’s debut, and Chevy driver Austin Dillon won the race, that was the lone highlight for most of the season. Chevy didn’t win again until Elliott’s first career victory in August and Camaro drivers totaled just four victories. Ford won 19 races in its outgoing Fusion and Toyota scored 13 wins in its Camry. 697 Likes, 12 Comments - HALSEY VIDEOS🌈 (@iamhalseyn) on Instagram: "THE CUTEST HUMAN BEING MY HEARTTTT *follow @iamhalseyn for more videos🌈 * *#halsey #halseysorry..."
Who is Halsey? Where is she from? What's her real name? When is she hosting and performing on "Saturday Night Live"? 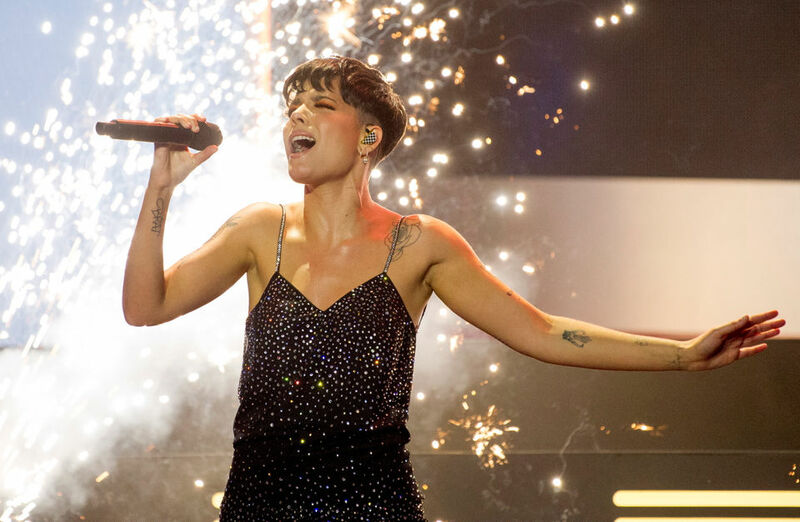 Here is everything you need to know about Halsey leading up to her performance on SNL. Halsey, born Ashley Nicolette Frangipane, is a 24-year-old singer and songwriter from Edison. She moved around a lot as a child, but she graduated from Warren Hills Regional High School in Washington before going to Rhode Island School of Design and then community college. When is Halsey hosting and performing on "Saturday Night Live"? Halsey will host and perform on "Saturday Night Live" on Saturday, Feb. 9, with the show slated to start at 11:30 p.m. It will be her third time performing on the show, but her first time hosting. She joins an elite group of performers to pull "double duty" on SNL, including greats Justin Timberlake, Ariana Grande, Justin Bieber, Elton John, Lady Gaga and Drake. Where did Halsey get her name? Halsey got her stage name from a street in Brooklyn that her boyfriend lived on. Will Halsey play "Without Me"? Halsey's set list has not been released, but it's safe to guess that she'll perform "Without Me," her first No. 1 song as a lead artist on the Billboard Hot 100 in the United States. What's up with Halsey's hair? Halsey's ever-changing hair has become one of her signatures. She changes colors, lengths and styles constantly, from long neon blue locks in May 2015 to a blond pixie cut in November 2015 to a buzzcut a month later. For this performance, she has her hair cut short and fire-engine red. 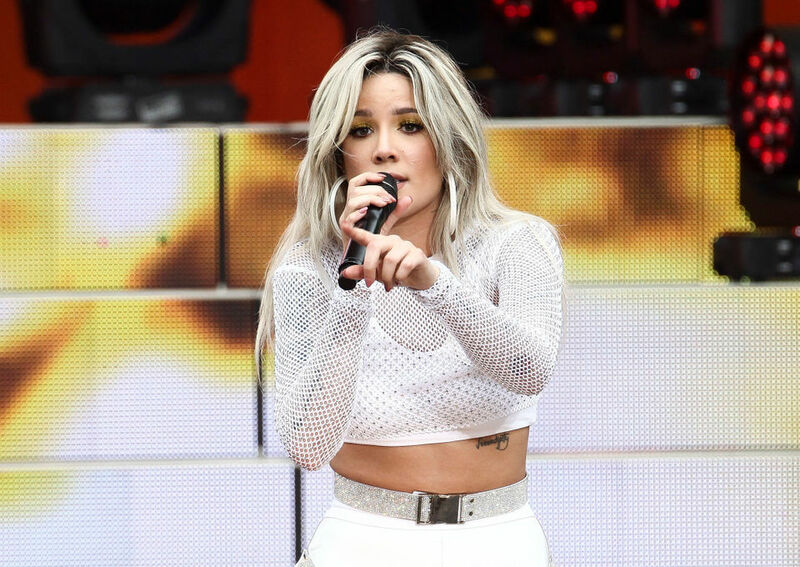 Halsey had fans speculating like crazy after her epic performance of "Without Me" on Saturday Night Live. The singer, who served double duty as both the night's host and musical guest, hit the stage for her first performance of the night rocking a long, bright red 'do and black lace lingerie. White scrawled writing adorned the black walls behind her, and the words "Sorry Ashley I Cheated" towered over the stage as the best-selling singer, whose real name is Ashley Nicolette Frangipane, belted out her emotional ballad. 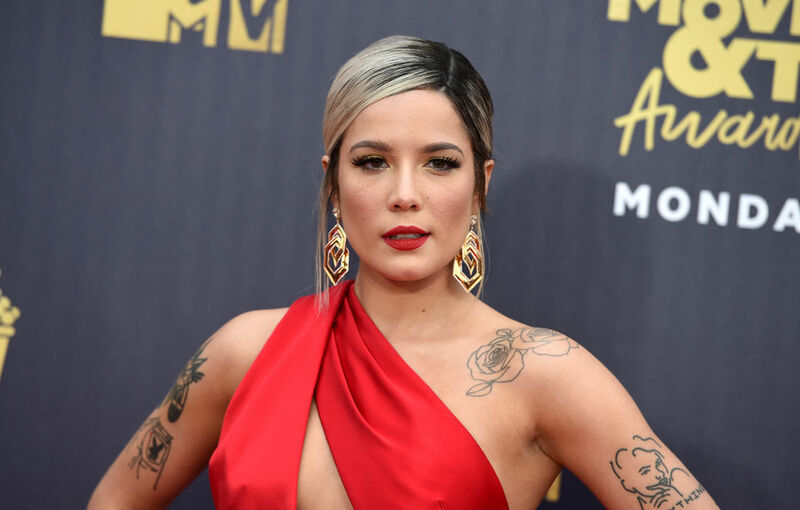 Immediately, the bold and brazen set design got viewers freaking out over how Halsey seemed to be spilling tea and calling out her ex-boyfriend, G-Eazy, with whom she split from back in October. While neither Halsey or G-Eazy ever confirmed the reason for their break-up, it was long rumored that cheating had played a role, and the song "Without Me," released shortly after they called it quits, was believed to be written about the tumultuous end to their relationship. Late last month, Halsey sat down for an interview with Glamour where she explained why she's been mostly silent about the nature of their high-profile break-up. "The biggest lesson I learned was to make art, not headlines,” Halsey said. “Because it can become quite easy, in the social media generation, to go from being a musician to becoming a personality." Looks like she might have gotten a little more comfortable calling her ex out in a bigger way, and honestly it made for an incredible SNL moment. 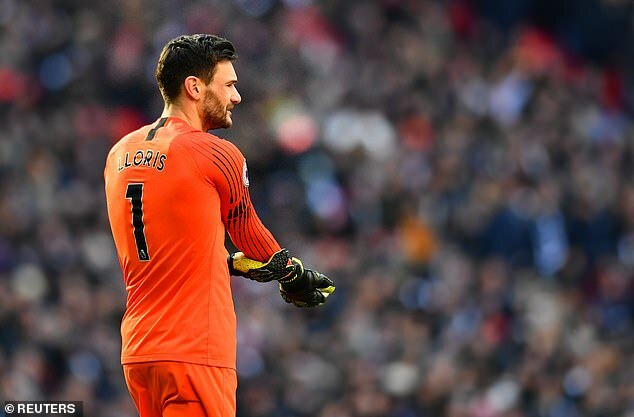 143.5k Likes, 1,065 Comments - Hugo Lloris (@iamhugolloris) on Instagram: "Let's go to the next round ! 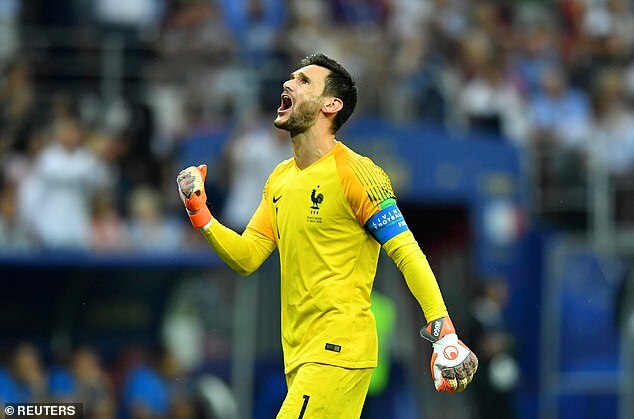 💪⚽️#coys #championsleague"
France's World Cup triumph is in the past as Spurs captain Hugo Lloris focuses on delivering glory at Premier League hopeful Tottenham Hotspur. 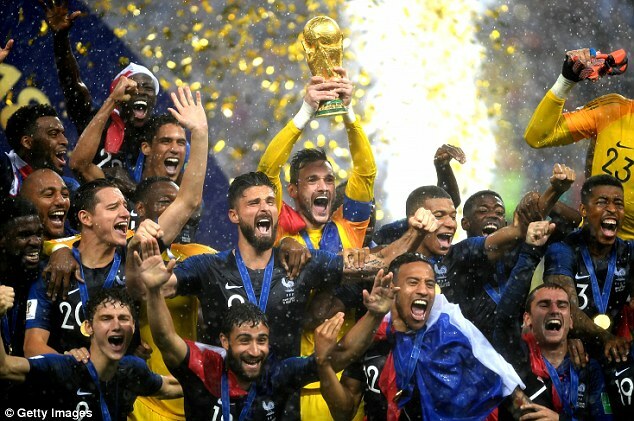 Lloris and France reigned supreme at the World Cup in Russia last year and Tottenham is now fighting for silverware this term. Tottenham – which is preparing for the Champions League last 16 against Borussia Dortmund – is third in the Premier League and can move back within five points of leader Liverpool on Sunday. Make a list of all the emotions you might feel if you captained your country to glory at a World Cup. Ecstasy, of course. Joy, most definitely. Pride. Honour. Fulfilment. Vindication that all the sacrifice was worth it. How about nothing at all? Just emptiness. Hugo Lloris became just the 21st man in history to captain his country to World Cup triumph after France's victory in Russia last summer. Yet while the nation was in celebration, their captain was in bed. He doesn't care too much about the winner's medal - just 'a material thing' - but admits, emptiness aside, that the achievement is unparalleled. 'It's the consecration of your career. We put a stamp on France national team history and for the rest of our lives. That is something huge.' The difficult task is how to put that sacred moment aside for the next challenge, especially when the previous one has taken so much from you. 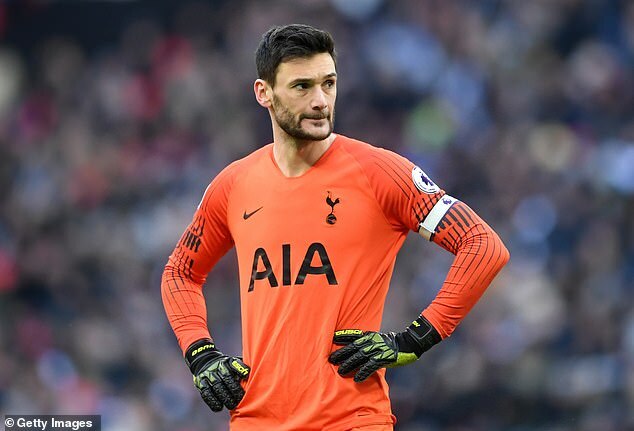 'It's not easy,' concedes Lloris. 'For all the French players, we needed more time to find a new rhythm.' Perhaps that's why Lloris endured a difficult start to this season. Some sloppy early performances for Tottenham, a thigh injury, and the dark moment of a drink-driving fine and ban, an experience Lloris says now 'belongs to the past'. To the present, then. Lloris admits success is addictive. And, with Spurs, Lloris still has a chance of tasting more. They remain in this Premier League title race - just - even if an unfancied third horse in an apparent two-colt charge. They are out of both domestic cups but the knockout stages of the Champions League beckon. More questions. Is Tottenham the right place? Is this the right time? Do Spurs and Mauricio Pochettino, who has said that fourth place is more important than a trophy, share the same ambition? 'We are Tottenham and we have the humility to say that in a different club, a bigger institution, they are used to winning - they won in the past, they win today and they will win tomorrow - because of the heaviness of the institution. When you wear the jersey of some clubs, you have this pressure every day. A frank admission, if an accurate one. No league title for Spurs since 1961.. No FA Cup since 1991. One League Cup in 20 years. But Lloris says Tottenham has changed since he arrived in 2012. Back then, Spurs were a club who sold. Luka Modric had left for Real Madrid just days before Lloris's arrival. Gareth Bale would follow a year later. Now, it feels different. Harry Kane is still there. Dele Alli is still there. Lloris is still there. Same players, different Spurs? 'For me it is quite simple: there is a project with the manager, you either like it or you don't. If you don't like it, you move to another place. If I am here it's because I like to be involved and I believe in my team-mates, the club and my manager. 957 Likes, 31 Comments - The People for Bernie Sanders (@peopleforbernie) on Instagram: "This is for the "he's not a democrat" Crowd"
So far, Sen. Bernie Sanders' second potential presidential run has not taken off the in the way that his supporters might have hoped. This isn't to say that the Vermont senator is doing badly in the polls, per se. A Monmouth University poll taken late last month found him in a distant second with 16 percent, trailing former Vice President Joe Biden's 29 percent but ahead of Sens. Kamala Harris of California and Elizabeth Warren of Massachusetts (at 11 and 8 percent, respectively). An ABC News/Washington Post poll from around the same time found him placing third, behind Biden's 9 percent and Harris' 8 percent but ahead of Texas Rep. Beto O'Rourke's 3 percent (it's worth noting that this same survey found President Donald Trump with 4 percent of the vote and 43 percent marked as "Unsure"). Perhaps most notable, however, was the Daily Kos Presidential Straw Poll, a survey that has traditionally served as a fantastic bellwether of who liberals support within the Democratic Party. When those results came out last month, Warren stood ahead with 22 percent, followed by O'Rourke with 15 percent, Harris with 14 percent, Biden at 14 percent and Sanders following behind at 11 percent. If one is a liberal, Sanders' decline within the Democratic Party should be viewed as a good thing. Sanders' decline in the polls may be a sign that he has achieved some of his ostensibly larger political objectives. It is a sign that his' left-wing political values have become increasingly mainstream. It's easy to forget that his success in the 2016 Democratic primaries had as much to do with the perceived absence of any viable progressive alternative to frontrunner Hillary Clinton as it did with Sanders' distinctly pugnacious and idealistic brand of charisma. Because many liberals were dissatisfied with Clinton's record — in particular, her association with the comparatively more conservative policies touted by her husband, former President Bill Clinton, during the 1990s — Sanders unapologetic brand of left-wing politics wasn't just refreshing; it was, to true-blue liberals, an oasis in a desert. Yet now that the 2020 cycle has rolled around, a number of Democrats are moving much closer to Sanders' version of leftism than would have been conceivable during the 2016 cycle. This is perhaps most evident in Sanders' support of Medicare for All. While his fellow Democrats haven't gone so far as to endorse his precise policy proposals, major candidates like Warren, Harris, O'Rourke and Sen. Cory Booker have offered at least rhetoric support for the concept. This reflects a growing awareness that the outspoken liberal wing of the Democratic Party cannot be taken for granted. Even if one questions the sincerity of some of these Democrats in their stance on that or other core progressive issues, all of them know that if they promise to deliver Sandersian policies as president and then fail to deliver, their party base will take them to task. Another major takeaway from Sanders' decline is that Democrats are more sensitive to the need for a diverse electoral coalition. The party's problem hasn't been that women and voters of color haven't preferred them over Republicans, but rather that their support has been taken for granted. That's why it should encourage progressives to hear that Sanders caught flak for offering a State of the Union response that could have taken attention away from Stacey Abrams, an African American woman who was almost certainly robbed of the Georgia governorship in November. This demonstrates that the Democratic Party recognizes the importance of diversity to its brand, not just as a way of attracting swing voters but of also energizing voters who have too often felt that no one running for office shares their background or directly represents them. Finally, the Sanders decline could be welcome for the party if it foreshadows an opportunity for progressives who share Sanders' values to select a candidate who doesn't alienate the party's more moderate elements. This is not an easy feat to pull off, but the fact that moderates like Biden and O'Rourke have done so well in the early polls reveals that a substantial number of Democrats are center-left rather than staunchly liberal. These are people who ultimately share the humanitarian values of Sanders and his backers but — whether one agrees with them or not — have concerns about the viability or desirability of his approach that aren't going to simply vanish. Indeed, as CNN's Chris Cillizza noted about Sanders' State of the Union response, part of the problem was that it made Sanders seem like a man separate from the Democratic Party rather than a potential leader of it. None of this means that Sanders won't get the nomination or win the election. Plenty of future presidents fared as well as or worse than Sanders currently does in the polls at this point in their election cycles, and the worst scandals from the Sanders-verse have not touched him personally (the sexual harassment that occurred during his campaign being the foremost example). What it demonstrates is that, quite simply, the fact that Sanders isn't doing better in the polls merely demonstrates that his message has become more popular in the party while the potential weaknesses of his candidacy are being potentially addressed. For anyone who wants a Democratic president to take office in 2021, these are welcome developments.